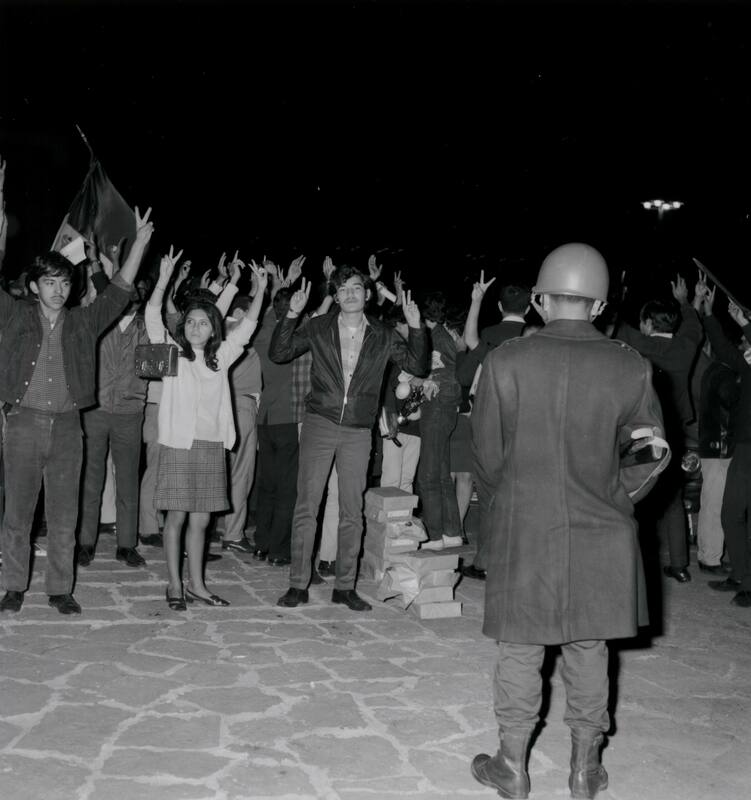 A photo slideshow of the Mexican student movement and the Tlatelolco Massacre of 1968. 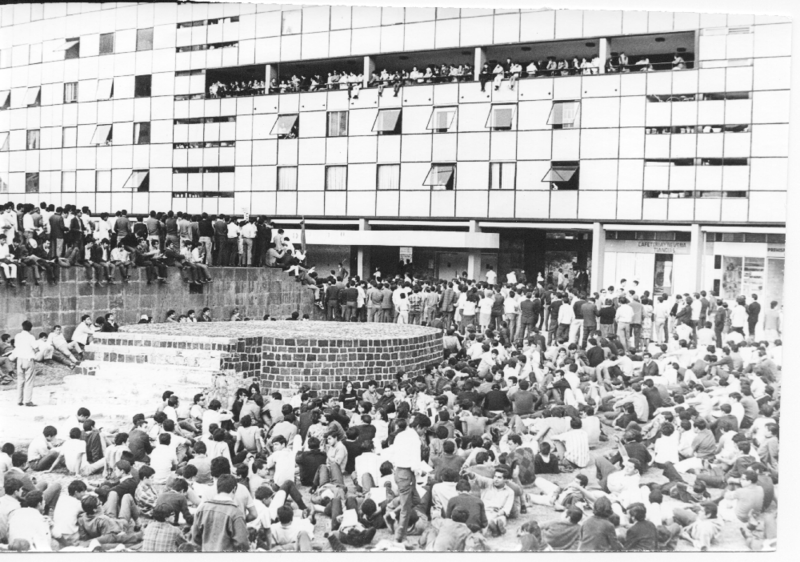 These photographs were provided to Radio Diaries by the Acervo Comité 68. 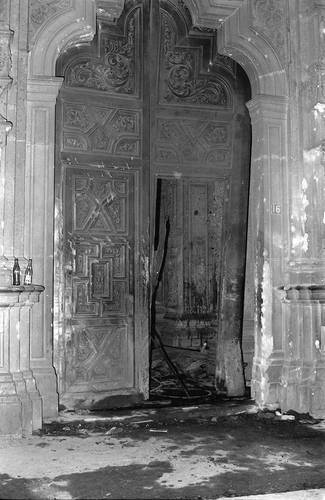 In July 1968, the historical door of Mexican high school Preparatoria No.1, was blown open by police with a bazooka. 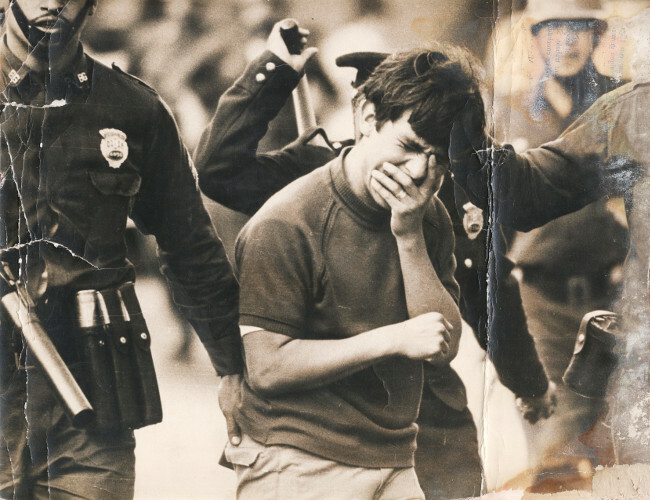 This sparked the student movement. 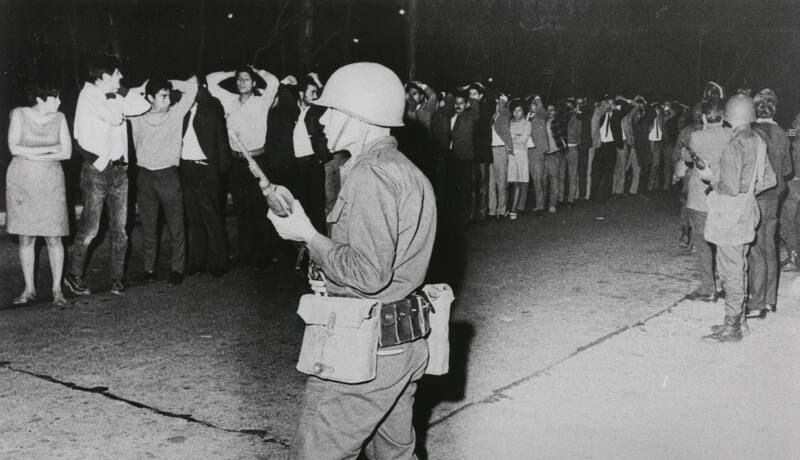 A confrontation between armed troops and Mexican students protesting in 1968. 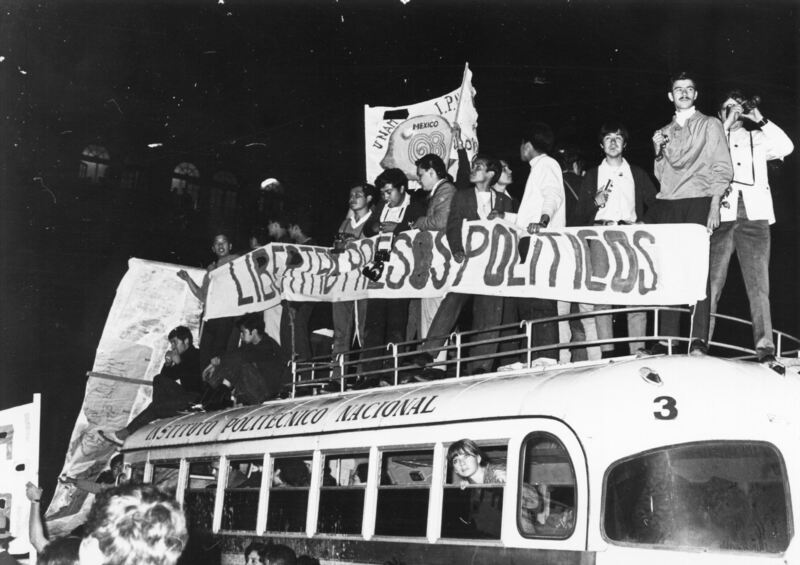 Mexican students protesting in 1968. 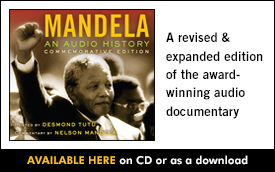 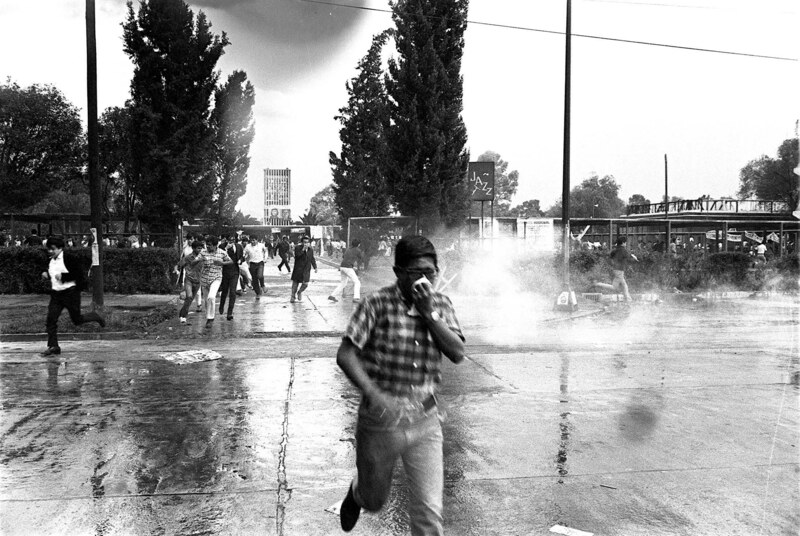 In addition to the deaths, thousands of students were beaten and jailed on October 2, 1968. 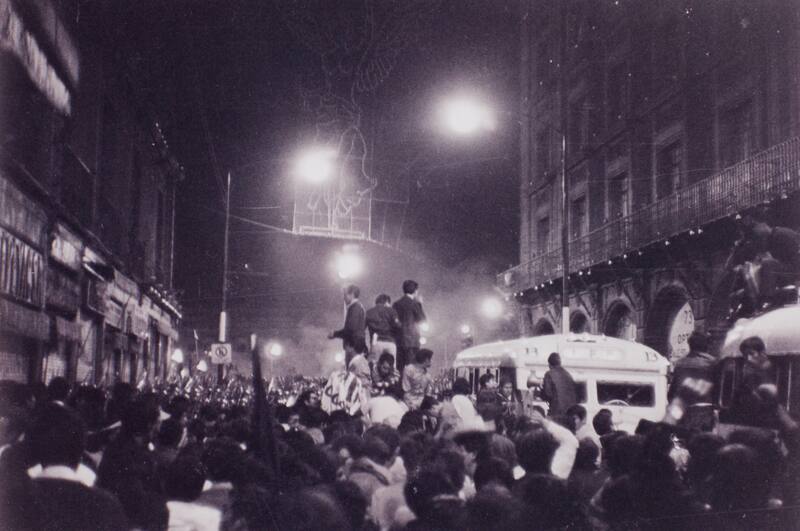 Mexican students protesting on the night of August 27, 1968. 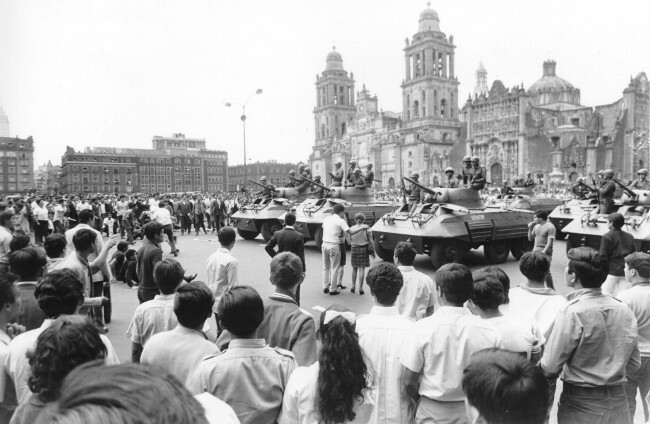 Mexican students were targeted by army troops during protests in 1968. 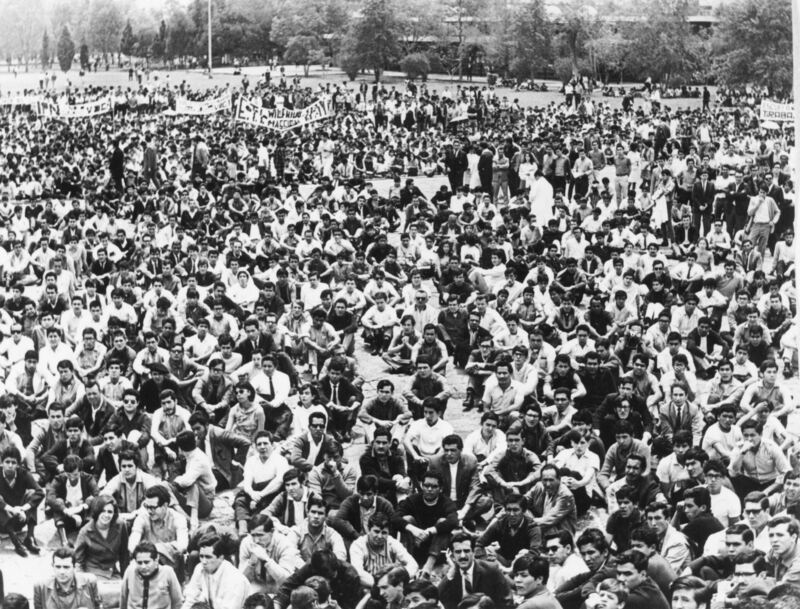 On August 27, 1968, the student-led National Strike Council staged the largest antigovernment demonstration to date. 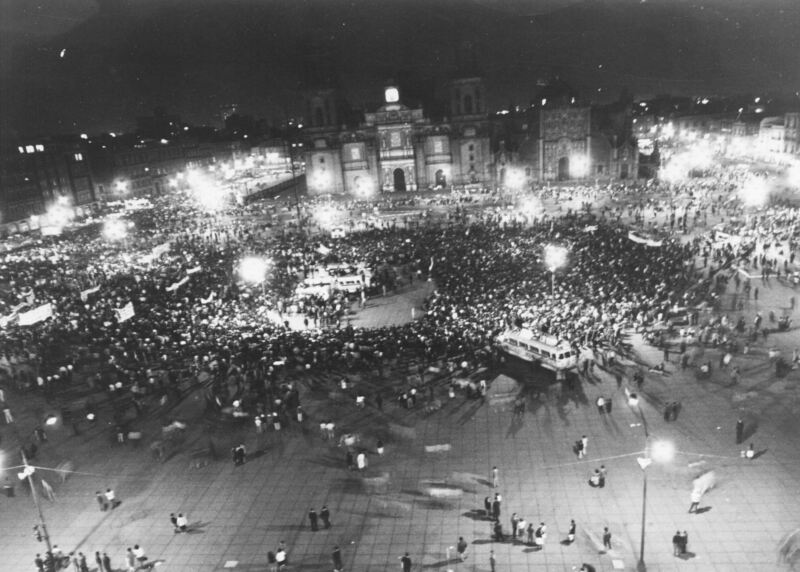 Half a million protestors demanded a response from President Gustavo Diaz-Ordaz in the main plaza of the capital, El Zocalo. 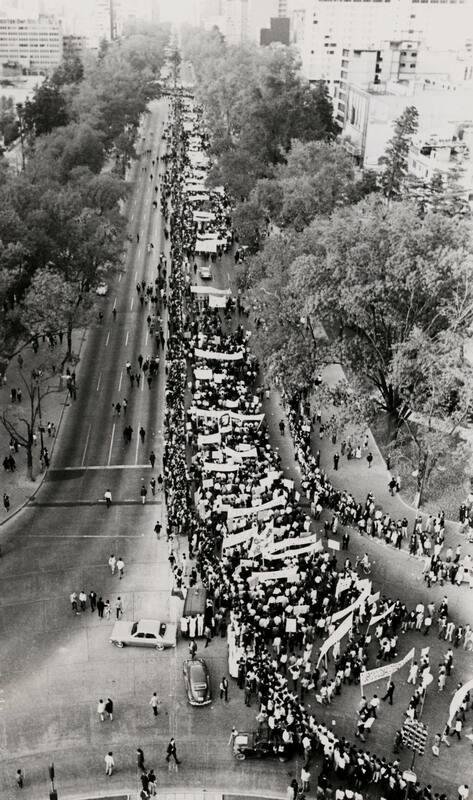 Thousands of Mexican students protesting in 1968. 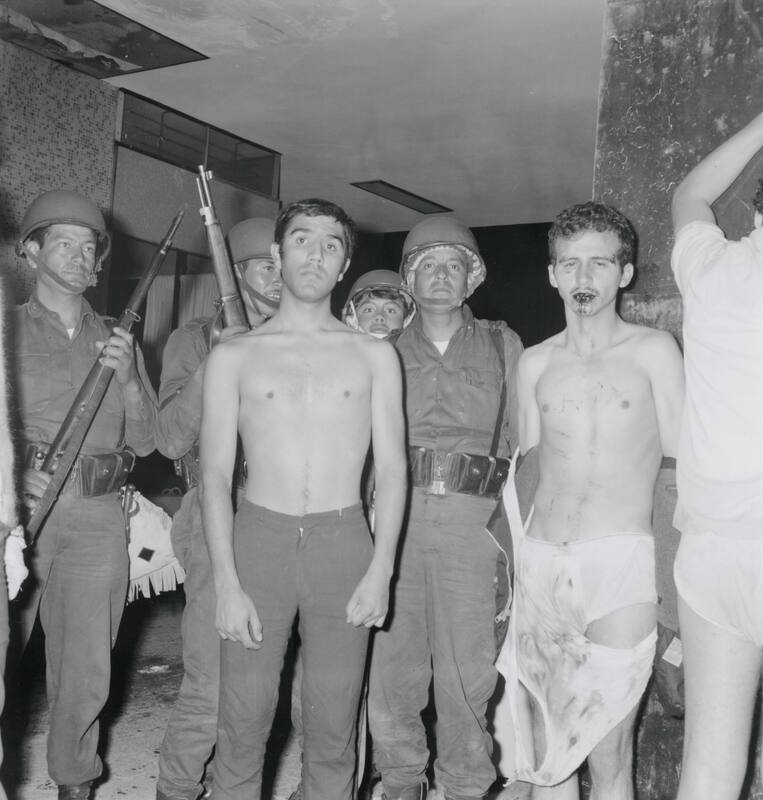 Mexican students were beaten, jailed, and killed by the Mexican army on October 2, 1968. 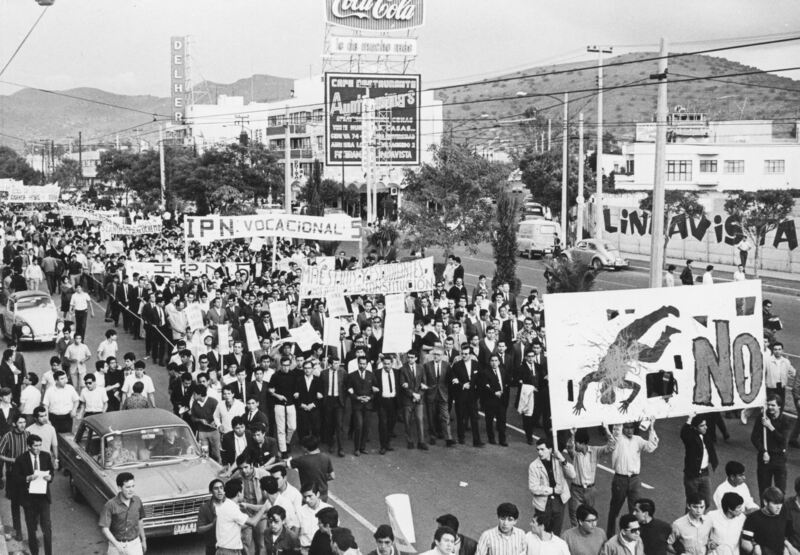 A student protest on August 27, 1968, in Mexico City. 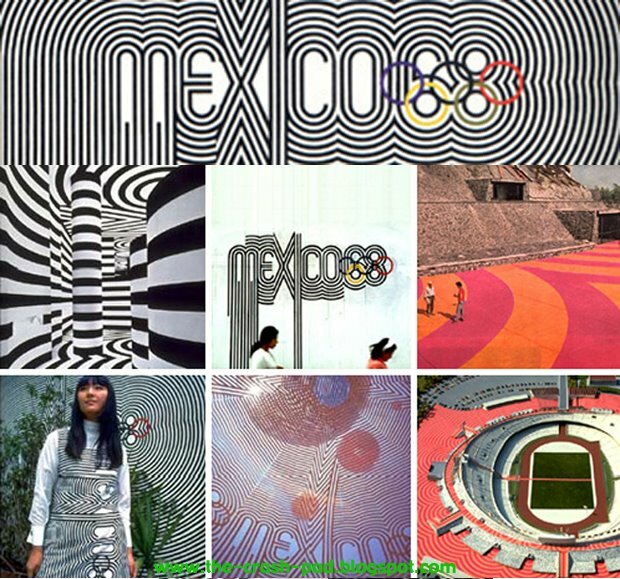 Just 10 days before the opening of the Olympic Games, the Mexican army fired on student protesters in the Tlatelolco Massacre. 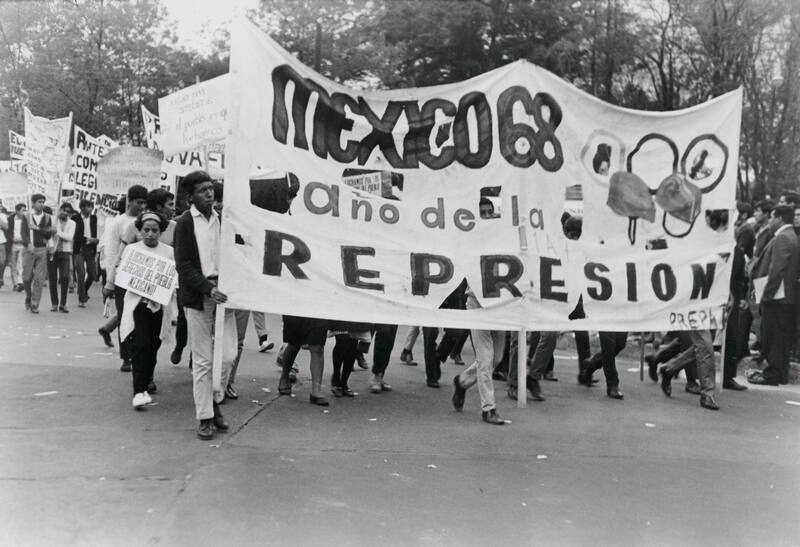 On October 2, 1968, in addition to those killed, thousands of Mexican students were beaten and jailed. 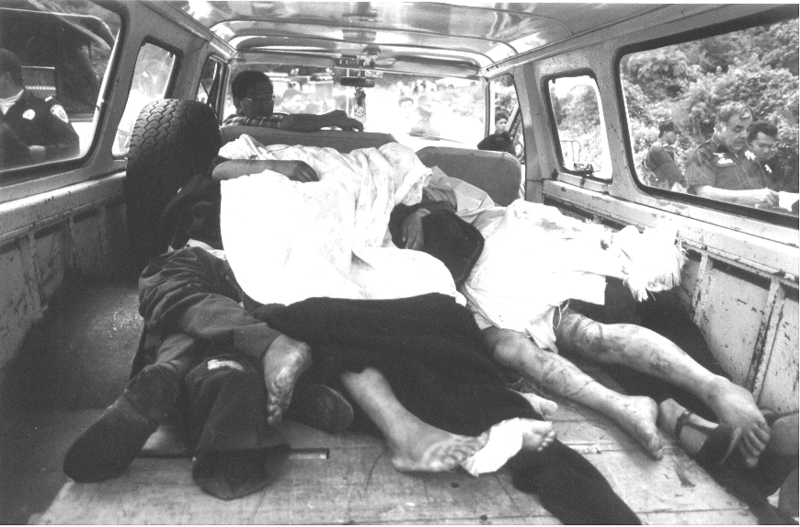 The government claims only 4 casualties, but eyewitnesses say they saw hundreds of dead bodies being trucked away after the Tlatelolco Massacre on October 2, 1968. 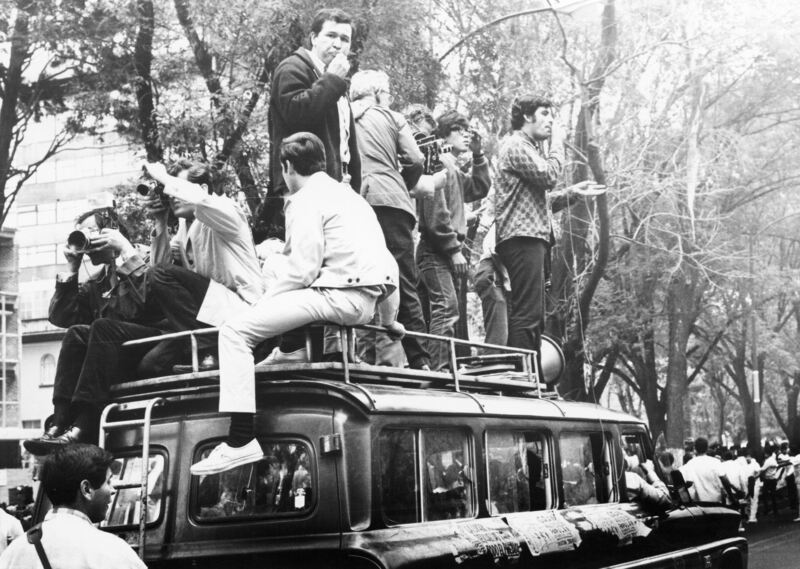 Student protesters gather in the Zocalo, the central square of Mexico City in 1968. 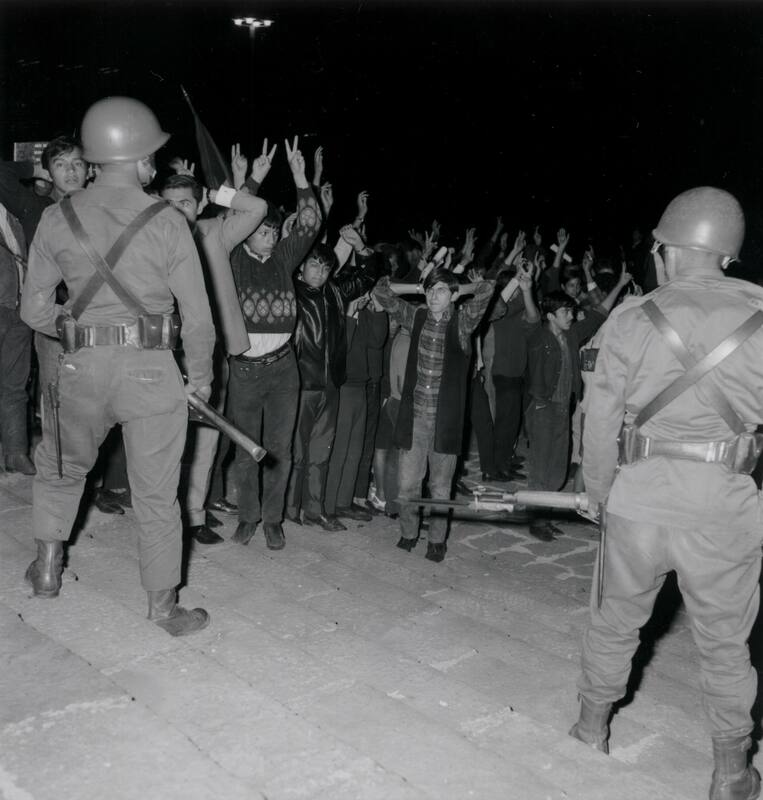 A confrontation between Mexican student protesters and army troops in 1968. 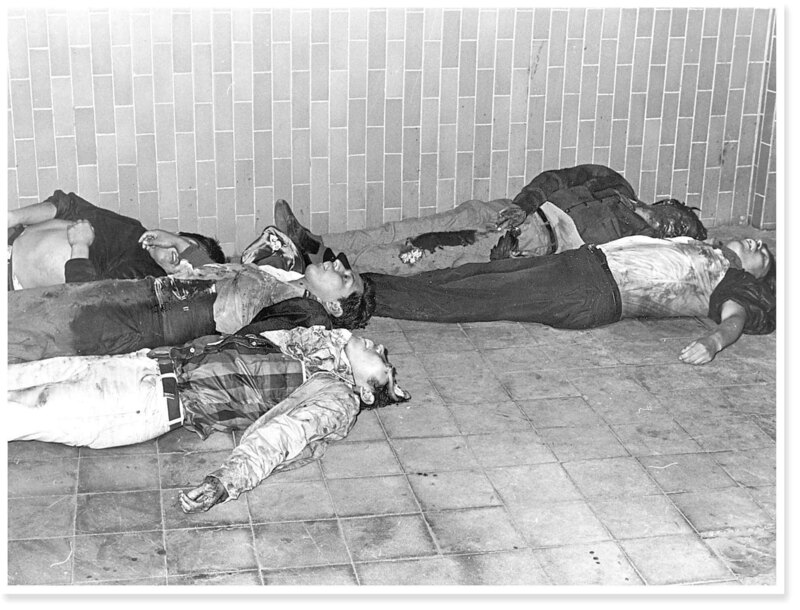 An unknown number of Mexican students were killed in the Tlatelolco Massacre on October 2, 1968. 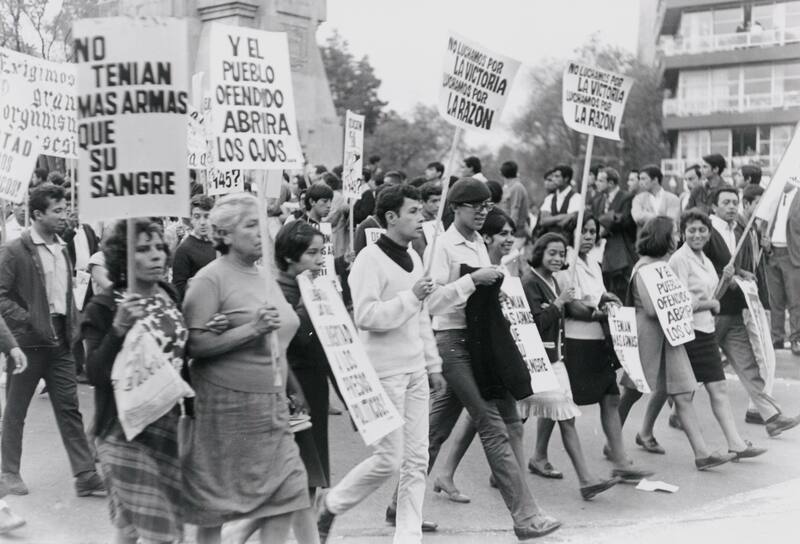 Mexican student protesters in 1968. 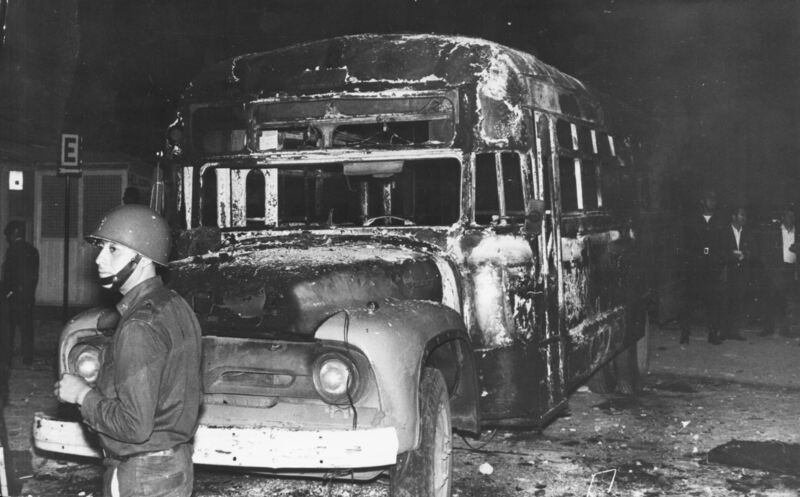 A burned bus after a student protest in 1968. 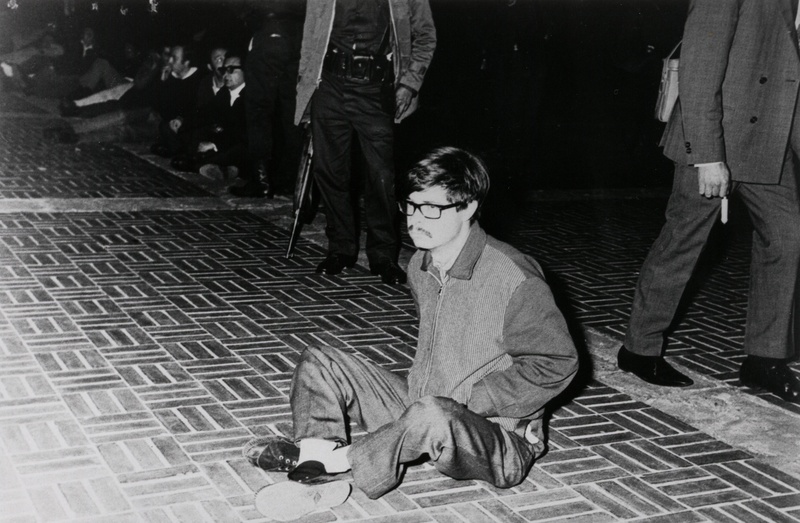 A student protester in September 1968.